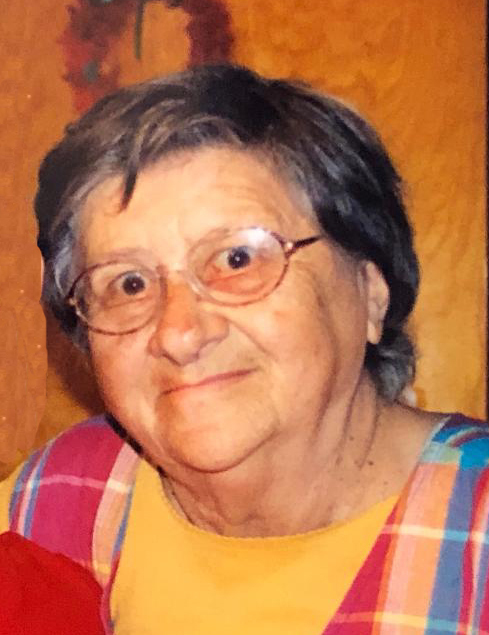 BARBERTON---Sonia Cutlip, (Xenia Poldruhi), beloved Baba, 97, passed into eternal rest at her home of 96 years in Barberton, Ohio on January 26, 2019 surrounded by her loving family. Born December 20, 1921 in Akron, Ohio she was a lifelong member of St. Nicholas Byzantine Catholic Church in Barberton, the Rosary Society, and the Greek Catholic Union Lodge #644. She was employed for 37 years as a dispatcher for the Barberton Cab Company where she made many acquaintances & happy memories. She was a heartfelt supporter of the U.S. Military and its Veterans and had a flag flown in her honor over the U.S. Headquarters in Iraq in 2009. Her greatest joy in life was her grandchildren, great-children, and feeding & watching the birds in her beautiful yard. She was preceded in death by her beloved parents Daniel & Maria Poldruhi, baby brothers Myron & Daniel, and two older sisters who died as infants in Yugoslavia. She is survived by her five daughters: Christine X. Cutlip, Maria J. Yehl (Dave), Martha A. Davis, Rose M. Eup (Steve) and Anna M. Cutlip; grandchildren: Rachelle Davis, Daniel Yehl, Charles Davis II (Crystal), Peter Yehl (Teresa), James Davis (Logan Brown), Lee Nickol, Cassandra Nickol, and Jacob Davis; and great-grandchildren: Angelina Riehl, Lydia, James & Benjamin Davis, and Blakelee Nickol. The family wishes to extend a special thanks to Akron City Hospital nurses: Colleen & Shon and Summa Hospice professionals: Jackie, Renee, Mallory & Nancy for the exceptional care given to our Baba.